In situ absorption and PL spectroscopy were employed to investigate the luminescent properties of GSH capped ZnSe quantum dots (QD) obtained from aqueous synthesis. Combined with the re-sults of X-ray diffraction (XRD) and in situ X-ray absorption fine spectroscopy (XAFS), the struc-tural evolution of the QD during the growth process was probed. 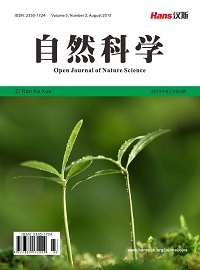 Detailed analysis reveals that, the growth stage of ZnSe QD could be divided into three stages: fast growth → surface reconstruction → lattice relaxation. In the initial 20 min, ZnSe QD grows quite fast with massive surface defects; during 20 - 40 min, the surface of ZnSe QD undergoes reconstruction, which means the growth rate slows down, and the surface defects reduce, accompanying with the increase of PL quantum yield. After 40 min, ZnSe QD goes through lattice relaxation, the bond length of Se-Zn slightly increases and the size of QD increases slowly. Schafer, J., Mondia, J.P., Sharma, R., et al. (2008) Quantum dot microdrop laser. Nano Letters, 8, 1709-1712. Li, J., Wu, D., Miao, Z., et al. (2010) Preparation of quantum dot bioconjugates and their applications in bio-imaging. Current Pharmaceutical Biotechnology, 11, 662-671. Kameyama, T., Douke, Y., Shibakawa, H., et al. (2014) Widely controllable electronic energy structure of ZnSe-AgInSe2 solid solution nanocrystals for quantum-dot-sensitized solar cells. Journal of Physical Chemistry C, 51, 29517-29524. 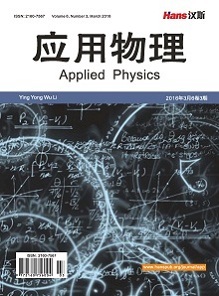 Zhao, B., Yao, Y., Yang, K., et al. (2014) Mercaptopropionic acid-capped Mn2+ ZnSe/ZnO quantum dots with both downconversion and upconversion emissions for bioimaging applications. Nanoscale, 6, 12345-12349. Pradhan, N., Battaglia, D.M., Liu, Y., et al. (2007) Efficient, stable, small, and water-soluble doped ZnSe nanocrystal emitters as non-cadmium Biomedical label. Nano Letters, 7, 312-317. Rajesh, C., Phadnis, C.V., Sonawane, K.G., et al. (2015) Synthesis and optical properties of copper-doped ZnSe quantum dots. Physica Scripta, 90, 015803-015810. Shu, C., Ding, L. and Zhong, W. (2014) Fluorescence resonance energy transfer between ZnSe ZnS quantum dots and bovine serum albumin in bioaffinity assays of anticancer drugs. Spectrochimica ACTA A, 131, 195-202. Zhao, Y., Sun, Z., Zeng, R., et al. (2014) Hydrothermal synthesis of Mn-doped ZnSe quantum dots and effects of surface overcoating on their optical properties. Science of Advanced Materials, 6, 2275-2280. Rogach, A.L., Franzl, T., Klar, T.A., et al. (2007) Aqueous synthesis of thiol-capped CdTe nanocrystals: State-of- the-art. J. Phys. Chem. C, 111, 14628-14637. Zheng, Y., Yang, Z. and Ying, J.Y. (2007) Aqueous synthesis of glutathione-capped ZnSe and Zn1–xCdxSe alloyed quantum dots. Advanced Materials, 19, 1475-1479. 赛丽曼, 陆昊婷, 何耀, 汪联辉 (2009) 水溶性ZnSe纳米晶的微波制备与表征. 功能材料与器件学报, 1, 53-60. Zhang, J., Li, J., Zhang, J.X., Xie, R.G. and Yang, W.S. (2010) Aqueous synthesis of ZnSe nanocrystals by using glutathione as ligand: The pH-mediated coordination of Zn2+ with glutathione. The Journal of Physical Chemistry C, 114, 11087-11091. 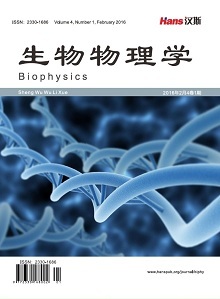 Song, J.X., Zhang, J., Xie, Z., Wei, S.Q., Pan, Z.Y., Hu, T.D., et al. (2010) In situ XAFS studies on the growth of ZnSe quantum dots. Nuclear Instruments and Methods in Physics Research A, 619, 280-282. Moreels, I., Lambert, K., Smeets, D., De Muynck, D., Nollet, T., Martins, J.C., et al. (2009) Size-dependent optical properties of colloidal PbS quantum dots. ACS Nano, 3, 3023-3030. Kudera, S., Zanella, M., Giannini, C., et al. (2007) Sequential growth of magic-size CdSe nanocrystals. Advanced Materials, 19, 548-552. Brus, L. (1986) Electronic wave functions in semiconductor clusters: Experiment and theory. The Journal of Physical Chemistry, 90, 2555-2560. Shionoya, S. and Yen, W.M. (1998) Phosphor handbook. CRC Press, New York. Murase, N. and Gao, M. (2004) Preparation and photoluminescence of water-dispersible ZnSe nanocrystals. Materials Letters, 58, 3898-3902. 宋冰, 程轲, 武超, 杜祖亮 (2009) CdS量子点的制备和光学性质. 材料研究学报, 1, 89-92. 余海湖, 余丁山, 周灵德, 姜德生, 顾而丹 (2006) 二氧化钛微晶结构相变与光致发光. 发光学报, 2, 239-242. Jose, R., Zhanpeisov, N.U., Fukumura, H., Baba, Y. and Ishikawa, M. (2006) Structure-property correlation of CdSe clusters using experimental results and first-principles DFT calculations. Journal of the American Chemical Society, 128, 629-636. Rockenberger, J., Tröger, L., Rogach, A.L., Tischer, M., Grundmann, M., Eychmüller, A. and Weller, H. (1998) The contribution of particle core and surface to strain, disorder and vibrations in thiolcapped CdTe nanocrystals. Journal of Chemical Physics, 108, 7807-7815. 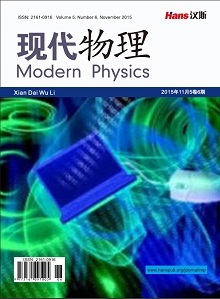 Li, J., Jiang, Y., Wu, D., Wang, W., Huang, J., Liu, C., et al. (2012) Aqueous synthesis of highly monodispersed thiol-capped CdTe quantum dots through electrochemical approach. Journal of Nanoscience and Nanotechnology, 12, 3806-3811. Gaponik, N., Talapin, D.V., Rogach, A.L., et al. (2002) Thiol-capping of CdTe nanocrystals: An alternative to organometallic synthetic routes. Journal of Physical Chemistry B, 106, 7177-7185. Uehara, M., Sun, Z., Oyanagi, H., et al. (2009) In situ extended X-ray absorption fine structure study of initial processes in CdSe nanocrystals formation using a microreactor. Applied Physics Letters, 94, Article ID: 063104.
 de Mello Donegá, C., Liljeroth, P. and Vanmaekelbergh, D. (2005) Physicochemical evaluation of the hot-injection method, a synthesis route for monodisperse nanocrystals. Small, 1, 1152-1162. Tutashkonko, S., Nychyporuk, T., Lysenko, V., et al. (2013) Thermally induced Ostwald ripening of mesoporous Ge nanostructures. Journal of Applied Physics, 113, Article ID: 023517.